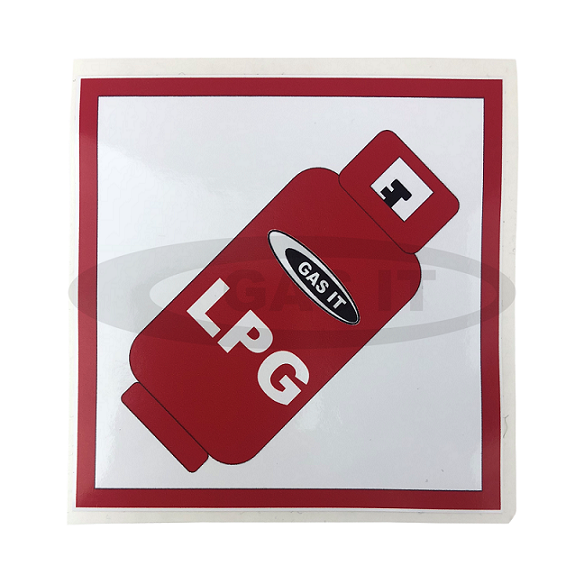 GAS IT Self Refillable gas bottle are easy to use, save you money and are super convenient to use and fill up. 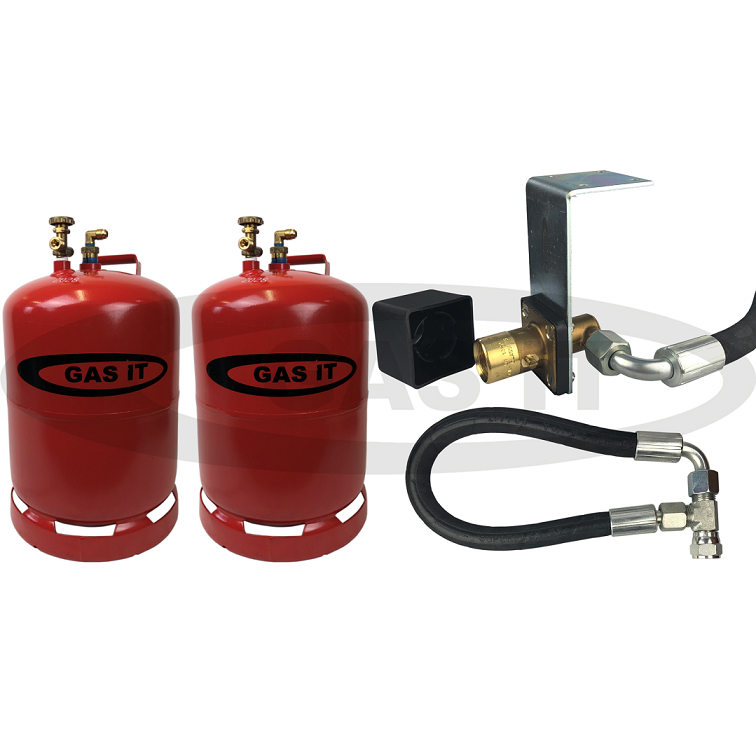 This is our top quality GAS IT Twin 11kg Refillable Gas bottle kit for Caravans or Motorhomes and includes our GAS IT UniqueEASYFIT© fill system that is an easy install and means you don't have to drill your vehicles external body to fit a fillpoint system. It also complies with all UK and EU requirements. Our GAS IT EASYFIT© fill system is unique to our GAS IT Dealer in that it fully complies with all current EU and UK regulations. 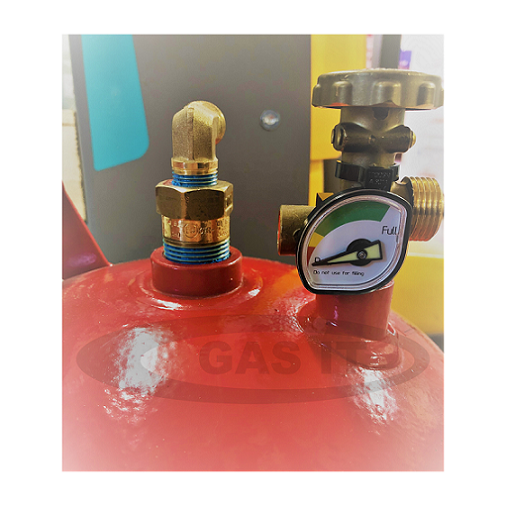 Our GAS IT EASYFIT© fill system is not the same as our Fill point is NOT directly connected to the bottle (it uses a fully approved LPG fast fill hose) and we also include a cover on the fill point to stop any dirt contamination so that's why our GAS IT EASYFIT© fill system and mounting system is still OK for use in the UK, France and other EU countries where as others are not.